Made of high density rubber. Helps improve coordination and depth perception. Reaction ball is great for that random coordination training. Helps improve coordination and depth perception. SUPER REACTION BALL GROUP PACK (6) - USE FOR EVERY SPORT - BEST IN THE WORLD! 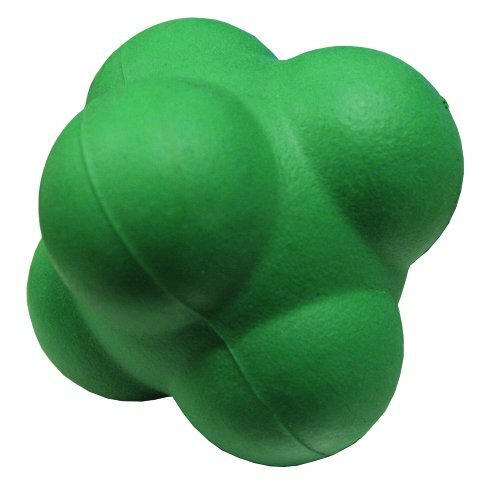 Relaxus Reaction Ball Agility & Coordination Trainer fro Sport, Rehab or Excercise. 1 Ball 3" x 3"